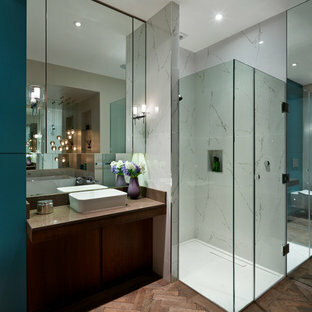 Av Giffin & Crane General Contractors, Inc.
Luxurious master bathroom ensuite with vintage oak parquet flooring, white marble style tiling, bespoke teal and mirrored cabinets and digital taps in both the shower and over the basin. 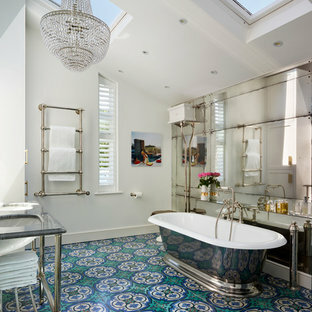 You can just see a glimpse of the large square bath behind which have several glass pendant lights over it. 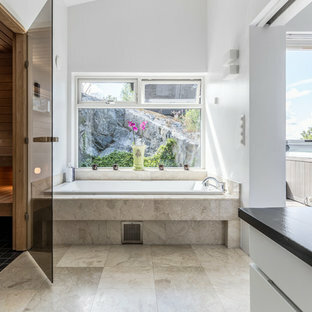 From simple bathroom makeovers to new design, build and install. 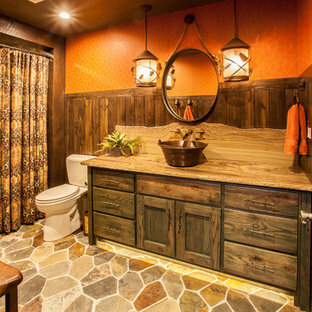 Call Restoration Style for free estimate. 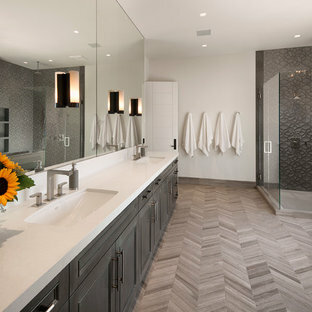 Master bathroom with freestanding tub, rain shower, and large paneled windows.